Who will the email be "from" when I get a notification from JotForm? Is it durpo@p3nlhssl009.shr.prod.phx3.secureserver.net that emails the notifications? It seems odd. 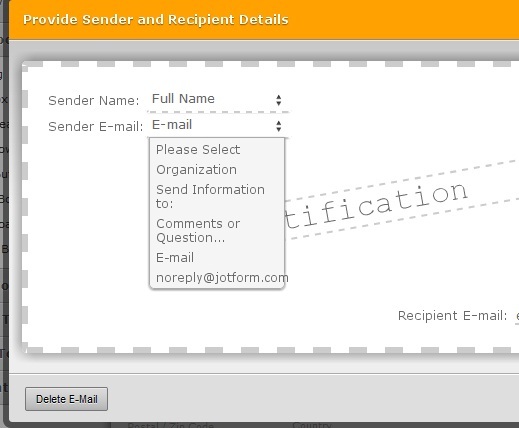 It looks like you have set the sender e-mail to one of your form's fields where someone has entered that email address, thus the notifications coming from that address. Hope this answers your question. Contact us again if you have other queries. Thank you.